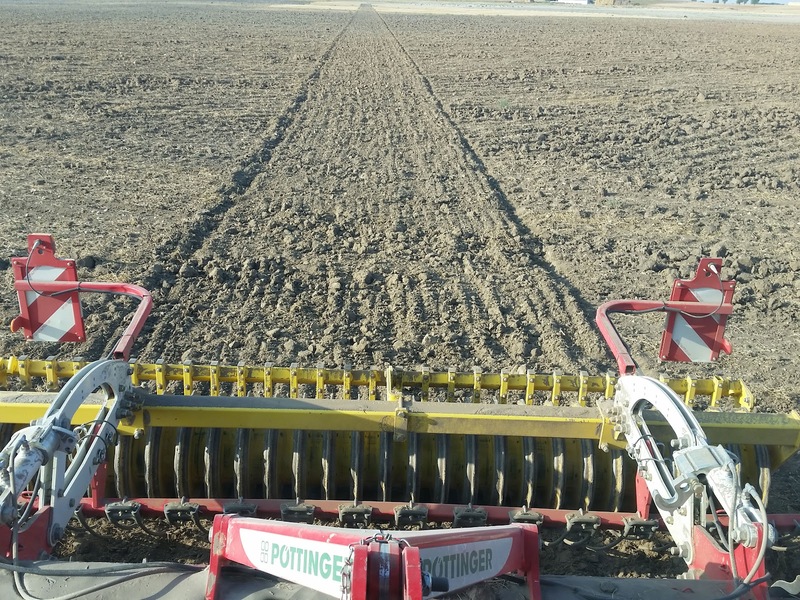 ​We continue speaking about Pöttinger Terradisc 3501 disc harrow that Durán Maquinaria Agrícola S.L. has lent us during this summer (they import all kind of Pöttinger products in Spain). 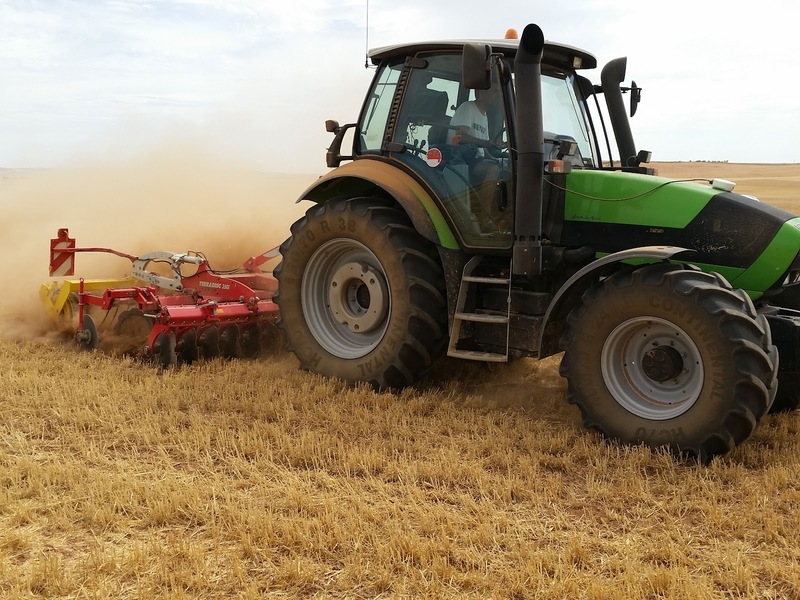 We published the first post about this disc harrow with its main features. In this post, we are going to speak about our experience and impressions after the working performed in the last weeks. 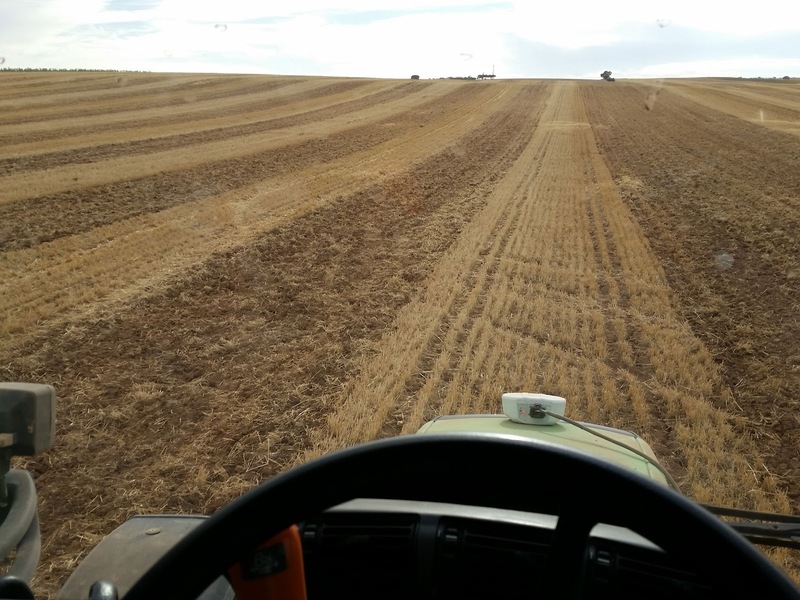 As you can see in our pictures and video, we have mainly been working cereal stubbles in different fields. So, the work conditions have changed with the main common factor: the ground was hard and dry. 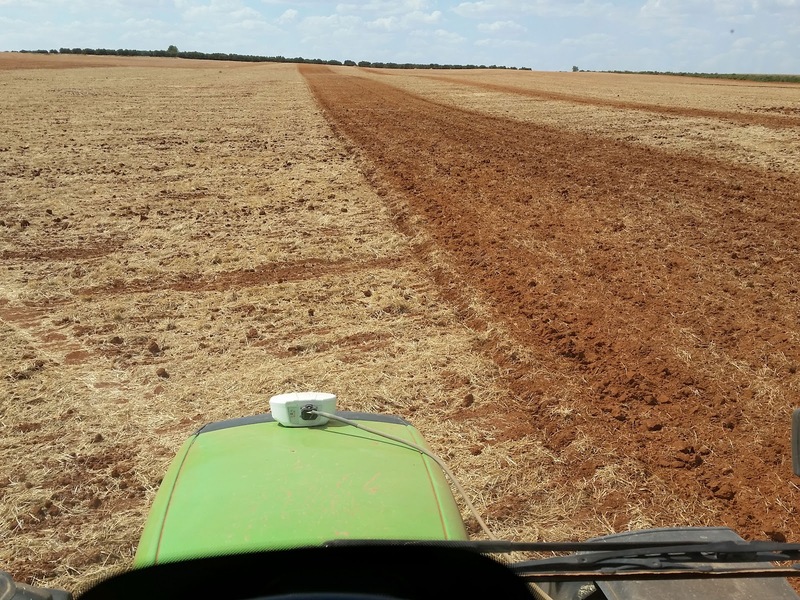 We guess it the soil is ​​wetter, the Terradisc disc harrow could carry out better harrowing. 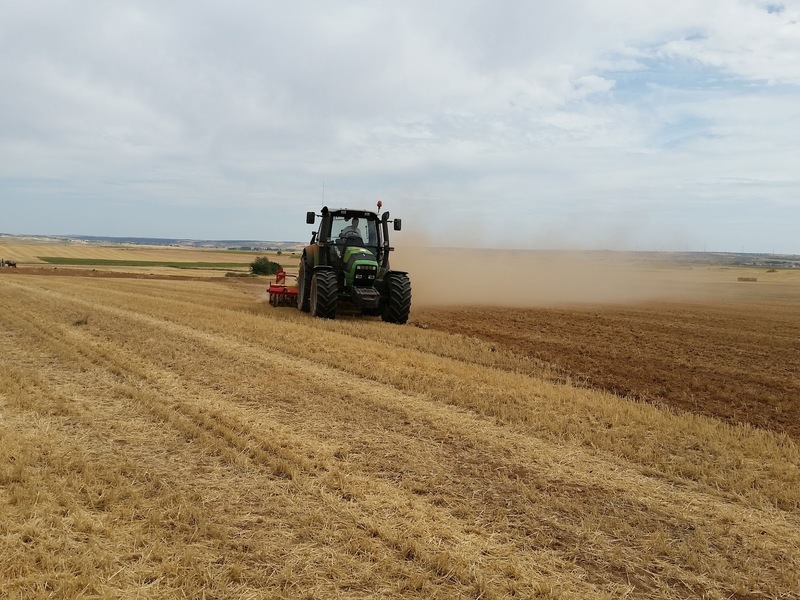 We have got some really good results after harrowing over 50ha. 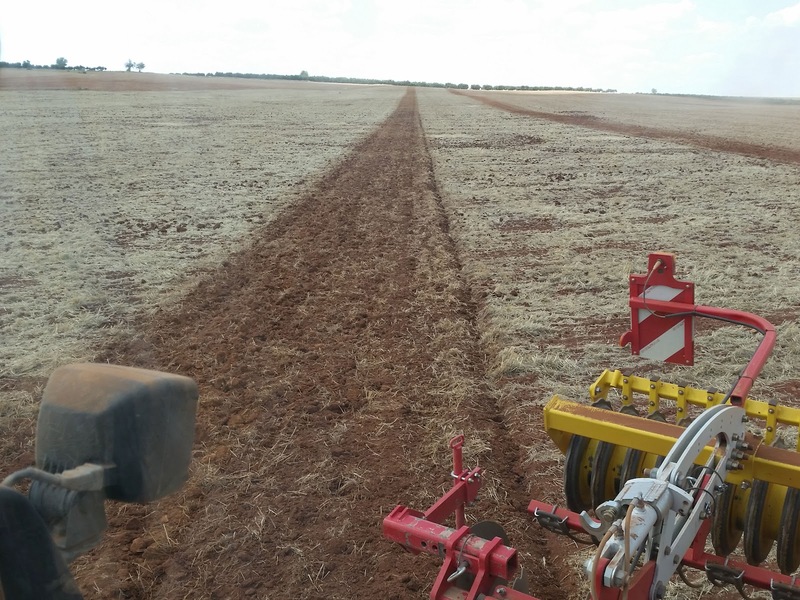 This implement performs a shallow work and it removes cereal stubble absolutely. As it has a cutting packer roller you don't generate any clod and the next time you can harrow with cultichiseel more comfortable. This disc harrow needs to work at high speed. 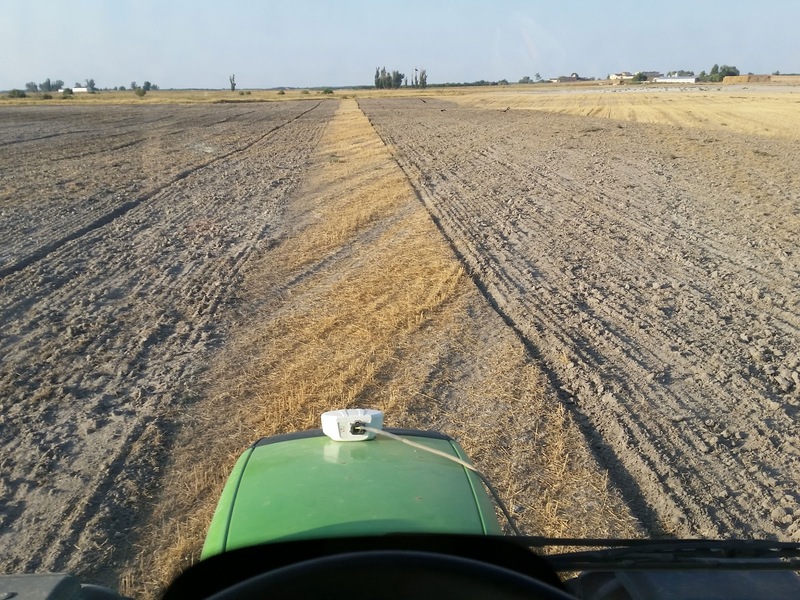 We have worked at 12.7km/h (at 1,600 r.p.m.). 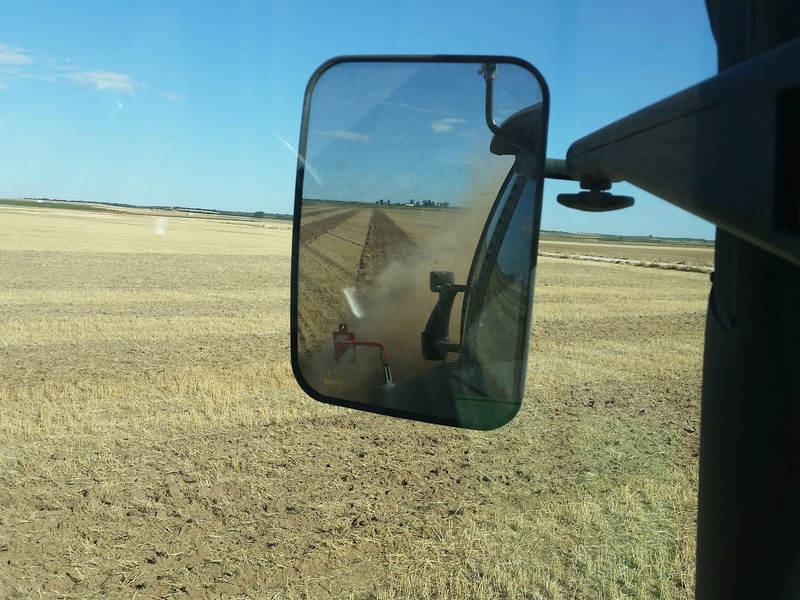 It means you could work at 4.44ha/h. We worked at 4ha/h when we harrowed a large field so we saved time and diesel especially. If you work at lower speed (we tested it at 10km/h), the work done is not optimal. The high speed has an important disadvantage... sometimes tractor bounces considerably. 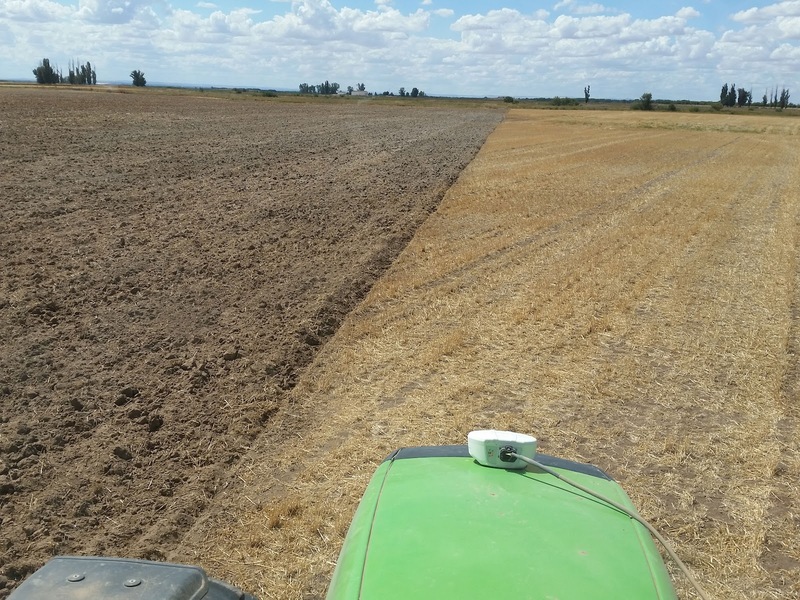 We worked in fallow, garlic and sunflowers stubble. 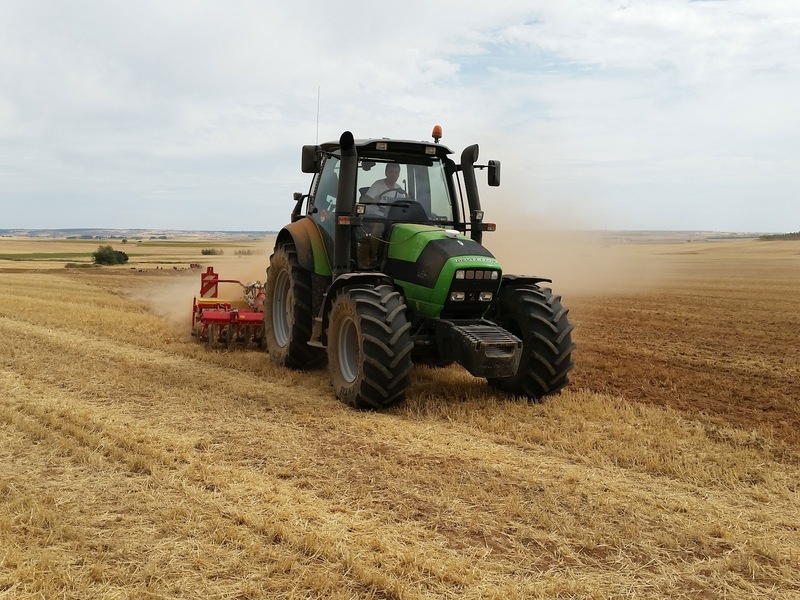 In this case, the ground is soft and Terradisc disc harrow can work more deeply... the labor was fantastic but the required power was higher (we work with our Agrotron M600 of 130HP) and we could test our tractor was working stronger. 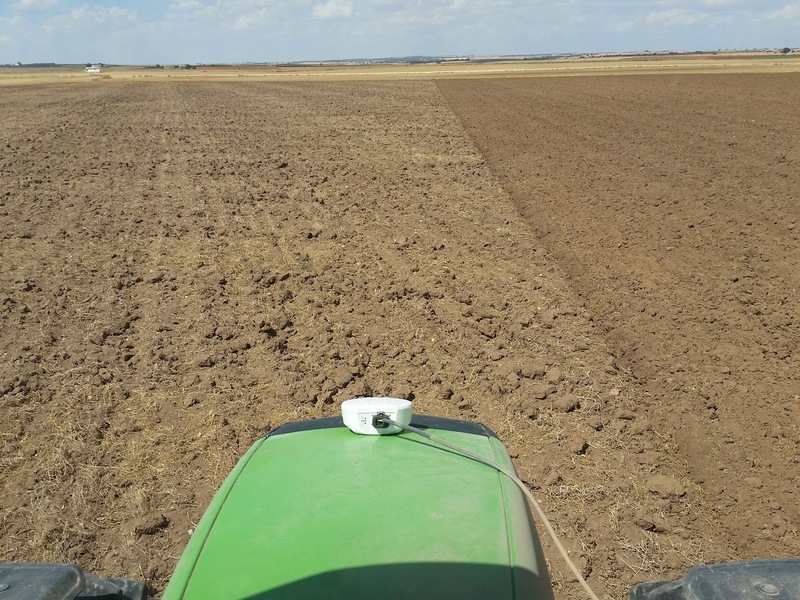 As you can see in our video, our tractor is equipped with Cerea, that is a auto steering system by GPS... this system is really cheaper and it works pretty fine. The main problem we can commend it is the important investment for small farmers... for them, Durán Maquinaria Agrícola S.L. has nice financing plans. 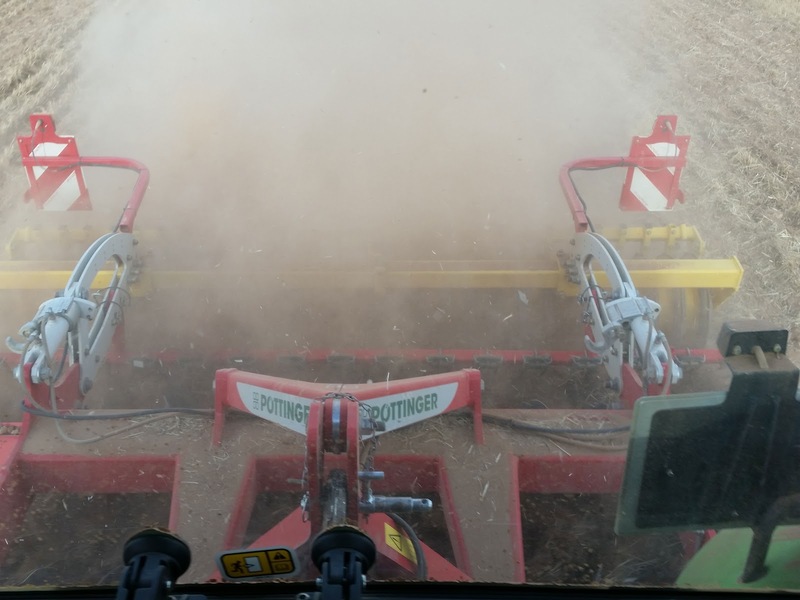 Definitely, Pöttinger Terradisc disc harrow is a tool really interesting and beneficial for all farmers.